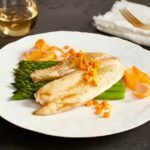 Though most people are aware of the many benefits associated with eating fish, many shy away from cooking it because they fear the process will be overly complicated or difficult. Fortunately, this is not the case! 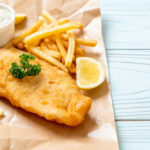 Preparing delicious and healthy meals that feature fish as the main attraction is easy, and we’ve compiled this fish-friendly cooking guide to prove it. 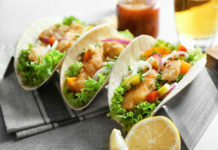 Marinating fish before you cook it is a great way to enrich its natural flavors. 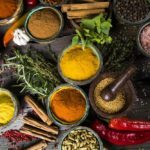 When it comes to choosing a marinade, consider a mixture that consists of a fat (such as olive oil or butter), a spice (such as paprika or cumin) and some fresh herbs (such as thyme or rosemary), for balance. 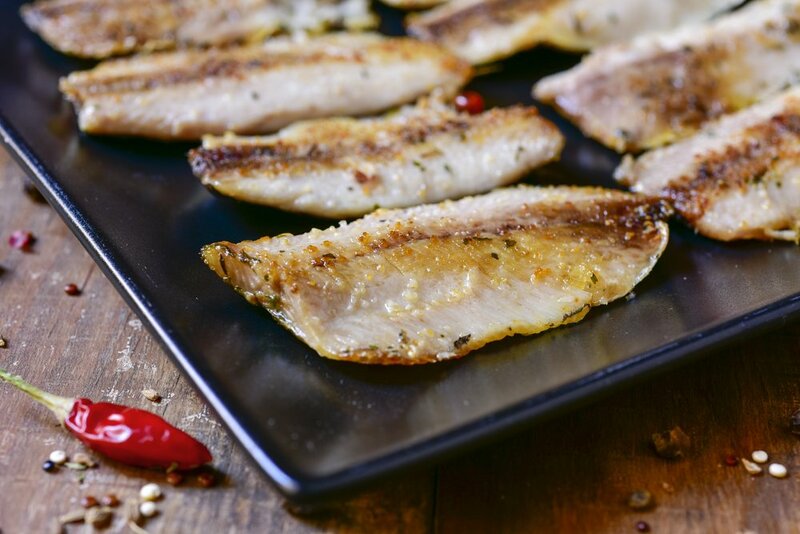 Most fish marinades also benefit from adding a splash of something acidic, like lemon juice or white wine vinegar. 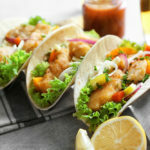 Keep in mind that these ingredients can “cook” the fish, so limit marinating time to between 30 minutes and one hour. 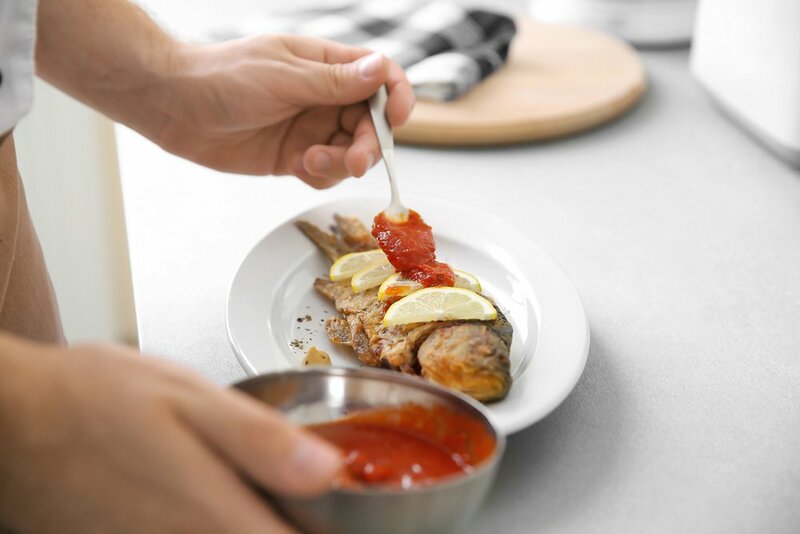 To perfectly marinate fish, combine all components in a covered shallow dish or a sealed plastic bag and place them in the fridge. Flip the fillet halfway through the marinating time to ensure that it is evenly coated. For a little marinating inspiration, have a look at some of our favorite fish marinades. 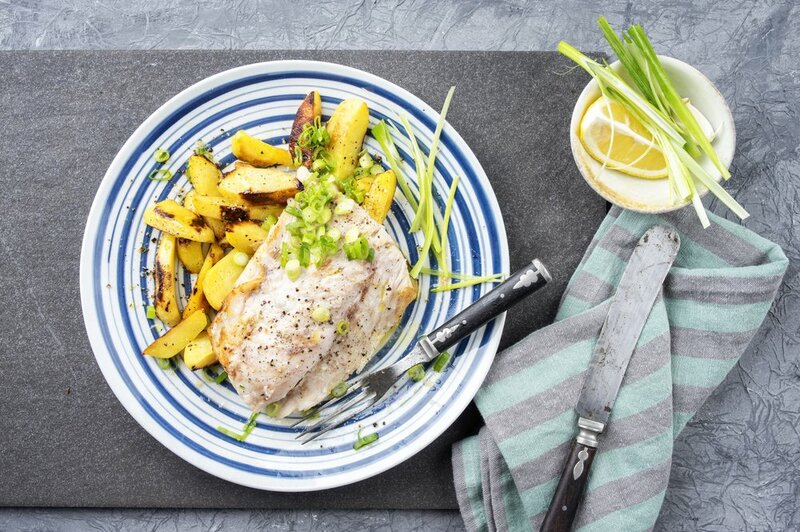 Choosing to cook a whole fish rather than a fillet can seem like a daunting task, but the flavor and quality associated with going the extra mile makes it worth the effort! Whole fish is generally juicier than fillets, as it is cooked on the bone and in its skin. 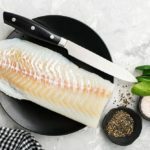 It’s also much easier to tell when a whole fish is cooked—simply push down on the thickest part of the fillet (which is typically where it meets the head), and if it starts to break away from the bone, it’s done. Unlike with fillets, a whole fish needs to be deboned and portioned before it can be served. For a closer look at this process, take a look at this step-by-step guide from Food & Wine. 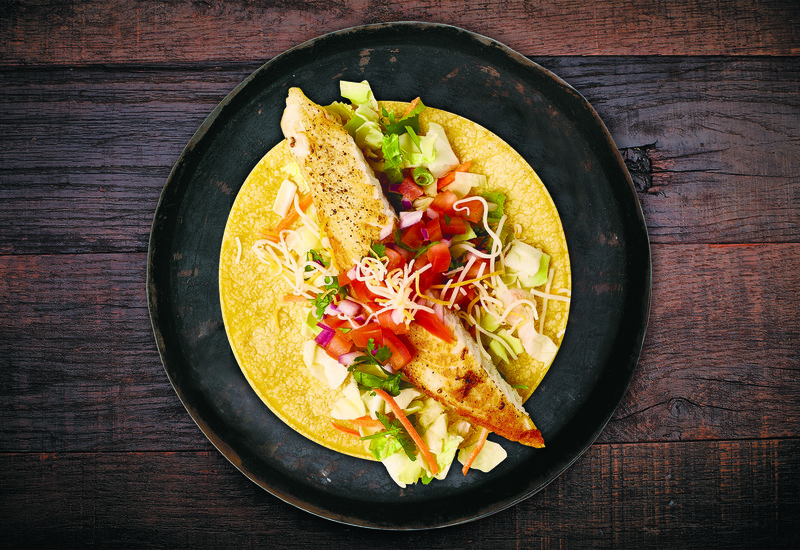 One of the best things about cooking fish is that there are so many different ways to do it. You can bake it, broil it, grill it, deep fry it, poach it, sauté it, stew it—the possibilities are endless! 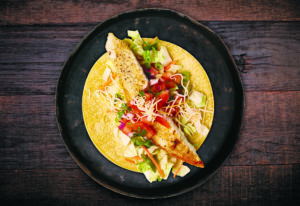 Here are a few of our favorite ways to perfectly cook your fresh catch. 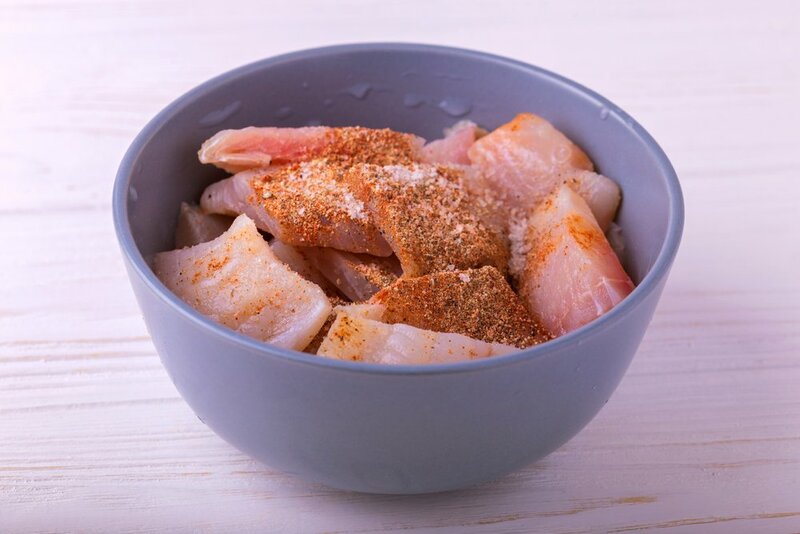 To poach fish, first, cover the fillet with a generous sprinkling of salt and and set aside. Next, season a full pot of water or stock and bring the pot to a simmer over medium heat. Add the fillet to the pot and remove it when it becomes translucent. A 5-6 ounce fillet takes about 4-5 minutes to fully cook (be sure to adjust your cooking time according to the size of your fillet). To perfectly bake fish, simply place a fillet in a greased baking dish and top it with seasonings like lemon juice, butter, thyme and minced garlic. 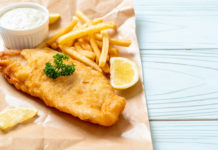 Cooking temperatures and times vary based on the size and type of fish, but most fish generally bake well at 425°F for about 15-20 minutes. 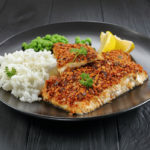 Searing fish on the stove-top is a great way to ensure a crispy coating. Add olive oil or butter and a selection of herbs and spices to a pan over a medium heat. When the pan is hot, add the fish and cook for about 3-5 minutes on each side. When grilling fish, you can adopt one of two methods: with or without foil. If using foil, the trick is to first grease the foil before adding your fillet. Wrap the fish in the foil, ensuring you fold up edges to seal in the contents, then grill it on each side on a medium-high heat for 5-7 minutes. Since meatier fish like Tilapia benefit from direct grilling, knowing how to grill it without foil is a handy trick to have up your sleeve. Coat both sides of a fillet in oil, then place the fish directly under the grill for about 5-6 minutes on each side. 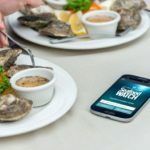 Whether you’re a seafood-cooking novice or you’re exploring new methods, learning how to properly cook fish can broaden your culinary horizons and help you add healthy meals into your diet. So fire up the grill, stove or oven today and start tasting a difference. 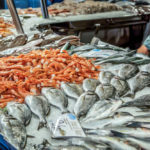 Avoid these common seafood cooking mistakes to ensure you get the best result with your fish each time, every time. 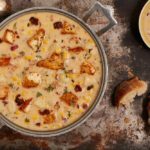 Photo Credits: hlphoto / Shutterstock Inc., Yuliia Kononenko / Shutterstock Inc., Africa Studio / Shutterstock Inc., nito / Shutterstock Inc.
Want fresh recipes and cooking tips sent straight to your inbox? 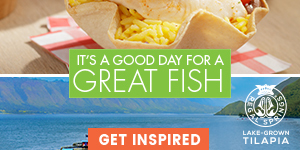 Subscribe to our monthly newsletter and receive our FREE fish-friendly e-cookbook.